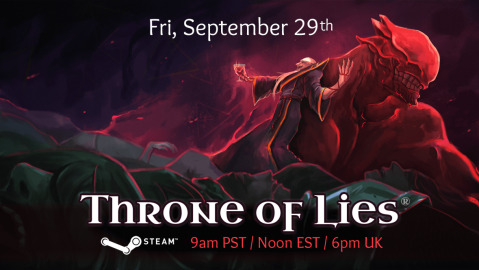 Throne of Lies v2.2 Major Updates & Dev Blog. Throne of Lies v2.2 Major Updates & Dev Blog! * Invoker's "Distract" now works as intended when used (previously doing nothing). * Fixed duped class card night tips. * Network stability additions and memory fixes (see Performance & Stability section below for details). * Guide button will no longer show if you're not a Guide+. * Quit button will no longer have priority over other popups. * "Follow Friend" tooltip on hover, if eligible, has returned. * Ritualist "Teleportation" ability now correctly shows 2 uses in the class cards instead of 3. * 100% Private games can no longer report players: There is now a warning displayed at the bottom of the end screen. * There's now also a message that mentions (in private games only) that MVP gold is only for public games. * You can no longer change your name while in a lobby queue. * Fixed a lobby bug that's supposed to do something as soon as you enter --. This may have ripple bug fixes to other mechanics that I'm honestly not sure what. * "Done" button on credits screen no longer stacks with Quit button. * Numerous funky buttons now have a corrected/expected hover color/glow and some buttons should better reflect "disabled" when it's supposed to look like you can't click it. * Fixed the awkward spasms of the Lobby's top-left promo banner. * "Send" button is now disabled in the lobby (main chat submit button). * Fixed the infinite "Checking Eligibility..." for GDPR data request text. The button still worked, if eligible, but wouldn't update the text result. * Ritualist "Teleportation" icon fixed in class cards to match in-game icon. * Fixed an error while joining a room that may have shown as "already joining the room" in logs. * "Reconnect" button in lobby will now disable after 1st click to prevent weirdness from multiple clicks. * The black disconnection screen "cancel" button now does something (returns you to lobby). * Fixed lobby "mode" faction colors to update to the newer colors. * The Quit / Options buttons will now stop layering over the loading screens. * Loading screen button hover will no longer trigger random button hover sfx through the screen. * Removed redundant "x" cancel button from "Guide" books. * Removed the accidental "+" from Mystic's "Link Minds" message. * Portrait had an unintended border between the faction border and the portrait. * Game over screen's "Return to Lobby" button now disables on click to prevent weirdness from fast double-clicks. * Resync'd class card faction colors for consistency. * Some UI won't show or have been disabled at the "x wins" screen before game over stats (such as the suicide button). * "Rules" header now consistently called "Code of Conduct". * Invite code "unknown error" on submit button false positive fixed. * Gameover screen's "Add Friend" tooltip no longer cuts off-screen. * Friends list should be less "wonky". * Settings "Detailed Feedback" is now remembered correctly (it was mixed up with "show titles"). * Fixed misc Settings inconsistencies. * In-game settings was updated: Sync'd them up (future changes should keep it sync'd). * MVP bonus gp was showing rewarded for private games, but wouldn't actually grant it. MVP bonus gp will no longer show as rewarded for private games. * MVP now gets a colored row border. * Gradient rows instead of solid color. * YOUR name/username is now in bold+yellow. * Various sfx have been added with dynamic pitch shifting. * Every ability will have its own unique sfx when cast (to self). * Day abilities will have recipient(s) also hear the sfx, if they would normally know they were affected by an ability via chat. Recipient sfx are generic per type of ability used to prevent metagaming with sfx. * Added a new checkbox in "Options" to disable these new ability sound effects. Note that this only disables self-cast sfx and not if you're a recipient (such as a day ability bleed target): For that, use the "Sound" volume slider. * Hovering over a Deathnote will now change your sword cursor to a quill. * The quill cursor's tip will be the same color as your selected color. * Dragging (drawing) on the deathnote will play "quill-drawing" sfx that will be randomly pitched and positioned, hopefully resulting in unique sounds each press. Holding the click but stop dragging should halt the sfx. * Players that left a room (lobby) or game for getting suspended by a mod will now show a message and play a smite sfx before they leave. If you see/hear this, there's no need to report them after the game. * Hover sfx and some short sfx now has dynamic pitch shifting so they aren't annoying. * Some hover sfx that is grouped and would normally be annoying (or satisfying, depending on your personality) now has an "ultra subtle" sfx hover sound with the above-mentioned pitch shifting. * Hovering over the player/voting/mvp panels now subtly highlights a dark cyan color (it previously felt disabled on hover). * Getting healed at night will now show an additional tip where it could've been a fake heal by an Herbalist. * Being the target of some detrimental abilities (or death) may cause a subtle cam shake. * Made one of the main hover sfx we previously had less annoying sounding and more subtle. * "Reveal Delete Account Button" in lobby options is now less scary: now auto-hides when you leave and re-enter. * Name selection and chat "Submit" buttons will be disabled until at least 2 characters are entered to more-intuitively clarify minimum chars. * Glossary book arrows were tiny gray buttons - most people probably had no idea there were more pages! Next/Prev buttons are now dominant and clear. * Reduced the size of the poison/death icon on portraits to be less bloaty. * Added shadow to loading tips for legibility. * Fixed misc typos and grammatical issues. Keep the reports coming! * Made personal status icons, such as bleeding, smaller and below the emote button. * Made many tooltips more-intuitively positioned. * New personal status icon: Delayed death. * Status tooltips -- hover over your portrait when there's a status ailment to see what it means (mostly for new players). * If you are a "Heathen", you will still see the icon to remind you (or if you missed the day 1 message). * Trollbox "send" button will disable until you enter at least 1 character, and disable again at 0 characters. * Class card headers now look classier. * Report deathnote button will now fade in/out a text with instructions on how to report (for now) until fully implemented. * Discord #justice (NSFW) channel will now reveal the # of warnings/suspensions the realtime suspended user has on-record. * Getting Merc Brilders (gold) now plays gold pouch sfx. * Pretender's "Kinslayer" icon is now unique (formerly the same as the "Suicide" ability). 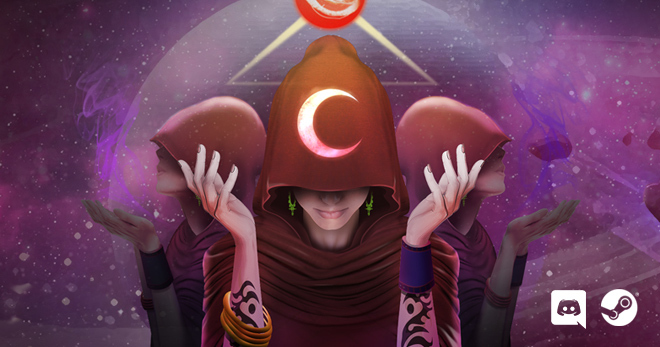 * Assassin's "Lacerate" icon no longer looks like the Cult Leader's "Rupture" ability icon. * The old "Bleeding" status icon (in the portrait) was bland, so we revamped it. * In-game portraits and icons were originally set darker than the originally- intended tone and would only set normal tones when highlighted: They now *start* at normal color tone and glow brighter when highlighted. 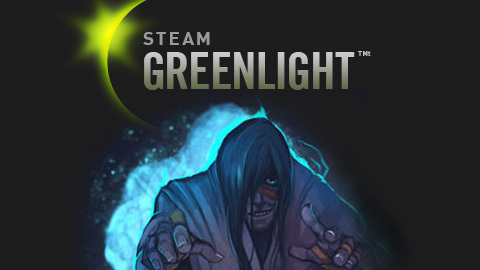 * Upgraded the moon icon to look more... moonly. * Significantly reduced the amount of memory the game uses, which could also indirectly help loading times. * Beta testing new audio import settings. Most memory/time loading comes from music -- this should consume significantly less memory and load faster. Please report issues/inconsistencies to Discord #bugs. * Optimized all textures with DXT1 format for better performance. * Optimized all sounds and music for better performance. * Reduced the amount of network polling (heartbeat) to pretty much 0. * Friends will now automatically notify YOU for updates instead of you asking the server every x seconds. * Friend updates for core activities will now directly update the status of that single friend (within 0~5s) instead of refreshing the entire list every 15s. This should especially improve performance if you have a large friends lists. * You can now force a friends refresh via a new icon on friends list every 60s (like if your friend insists they're online and shows them as offline). If you need to use this, you may also want to report this to Discord #bugs. * Switched from UDP to TCP protocol to prevent desyncs and ensure the order of events is sequenced as intended. For example, UDP processes whatever data arrives first (faster) while TCP waits for the original order (reliability is prioritized over speed).We will be beta testing TCP to see if we experience less desyncs (disconnects / empty thrones). * When you change "scenes" (like Lobby to In-Game), there is now more reliability that data will be sync'd and not lost, which should prevent some weirdness around the loading screen that sometimes occurs. * There's currently an options bug that freezes some folks. However, only a few people experience this and I cannott reproduce it. I need your help! If you freeze when you click options, we now have added a bunch of logs to help show what leads up to this freeze. Please DM Xblade#4242 in Discord with your logs (type ?logs in Discord for instructions). * I received some feedback that players enjoy reading about "the little changes", too. While I can't always list all of them, I'll try my best, starting here :) Unlisted updates, such as cloud (patchless) updates, can often be found in Discord #news. * Despite what it may look like, this is not a mere quality of life patch: With a vast number of overdue bug fixes inside, the QoL features are to help me catch up on in-game events now that I have taken over this role. The main reason for some of these features is not because it's out of the blue, but to make catching up on code actually useful: Balance content sounds nice, but it's like having spilled milk on the ground just moving it around instead of soaking it up. Bug fixes are first required before we continue with balance. I did the quill feature to catch up on how deathnotes work. The sound to see when events should trigger as they should through hundreds of thousands of lines of code. The ban message is to catch up on the complex messaging system. Instead of just studying code, I'm getting something out of each area. This is actually how Throne of Lies started! I was learning Unity, so wanted to make a small game that suddenly scaled and ended up how it is today :) With 15+ years of dev experience, it doesn't take long for me to adapt to new dev roles and hopefully this patch demonstrates this. * So, about balance later: I'll soon organize a balance panel on Discord to start discussing this and ensure transparency. I believe the December's unfavored patch was due to the lack of transparency with the community. As the new lead dev, I believe transparency is extremely important when it comes to the core mechanics of the game being changed. However, mentioned above, the next couple patches will first concentrate on bug fixes, quality of life, consistency, localization, and better onboarding -- which should benefit both new and old players. Class bug fixes will also indirectly impact balance without being too dramatic. The tutorial is something that also needs an improvement, soon: From feedback, it seems that veterans prefer new players being more knowledgeable over balance content, anyway, to prevent RNG-like experiences whenever we have bursts of new players. New players that know what they're doing will help everyone. I look at the #feedback channels on Discord all the time - feel free to contribute your ideas to help weigh my direction! * I also noticed that the tips (loading + class) and ability descriptions are either awkwardly-worded, dated, inconsistent, or just plain confusing: I'll be working with the community to find the best way to word these and add/replace some tips/descriptions/wording, hopefully by next patch. Let me know in Discord if you notice something poorly written that should 100% be changed (and with a suggestion). * (Pre-Alpha) Translations are coming soon: Don't worry, English is still a requirement for the main server queues. However, the UI and class cards can optionally be translated later so you can at least learn in your local tongue and private matches can be localized. If enough players join our Discord global channels, we'll add a separate queue for that language! Chinese will arrive first (I live in Taiwan -- we already have reach here). Translations will also help English queues, too, as players can LEARN in their own, native language which should speed up the time it takes to understand the deeper game mechanics. Read: non-native English speakers will learn the game faster. * I would also like a long-term side focus on 3D art consistency and improvements: Both aesthetically and graphically. I don't mean on a small scale, either: I mean something incredible. One of these days, down the road... prepare for something amazing. --Xblade Thanks for being there and reading this far! 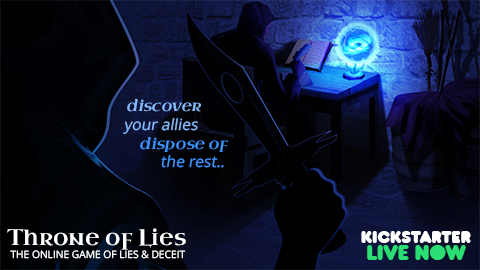 Thousands of Dollars on Kickstarter Already Raised Within 12 Hours for Throne of Lies Online Game!